You asked for it and here it is by popular demand! 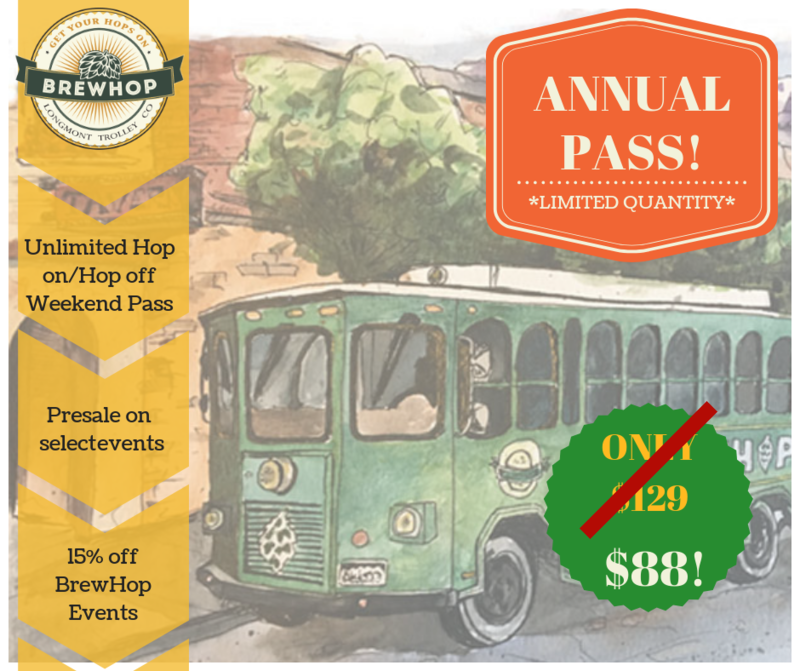 For only $88 you can Hop on the Trolley on an unlimited basis. 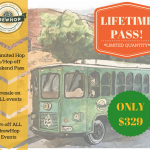 15% off all BrewHop events! And of course, all you can hop on and off the Trolley! There are only 20 passes available at this time, so be sure to act fast! Unlimited transport on normal weekend BrewHop loops, including future loops as they come available. A 15% discount and early-barfly pre-sale on select special events. Pre-sale offers will be sent to pass holders prior (typically 1 week) to tickets being made available to the general public. Note: Lifetime and Annual passes are subject to availability and are only valid for the original purchaser and cannot be sold, transferred, or combined with other offers.